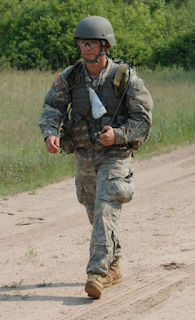 Second Lieutenant Adam B. Larson died January 16, 2017, while training at Ft. Benning, GA. Adam was born May 14, 1988 in Rapid City, SD, to Aaron and Sheryl (Schultz) Larson. The family moved to Chamberlain, SD when he was a young child. While at Chamberlain High School, Adam was active in drama, vocal, and instrumental music. He also loved rock climbing, adventuring, traveling, and reading. Adam attended USD, earning a Bachelor of Fine Arts degree in Musical Theater. There he met his future wife Ashley Christine Harvey. They were married on October 8th, 2011 and were blessed with a son, Allen, on November 1st, 2013. 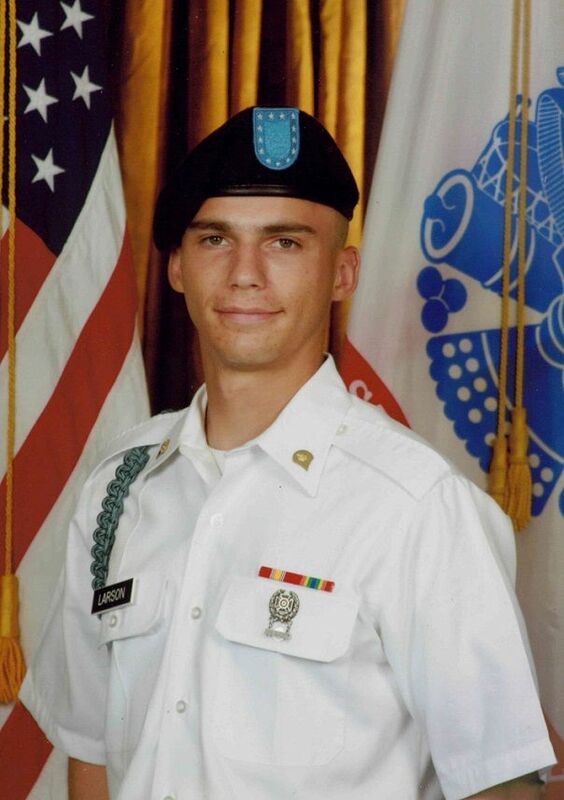 Also in 2011, Adam enlisted in the Army and become a member of the Airborne. He was stationed in Vicenza, Italy, and did one tour in Afghanistan. On their return from Italy they settled in the Remsen/Kingsley area. In 2014, Adam joined the Iowa National Guard, and was commissioned as an officer during 2016. Adam B. Larson is survived by his wife Ashley and son Allen (Kingsley, IA), mother Sheryl Larson (Chamberlain, SD), sister Audra Larson (Lincoln, NE), Grandfather Dwight Schultz (Cedar Park, TX), Uncle Jeffrey Schultz and wife Preyachat (Cedar Park, TX), father-in-law Frank & Lynette Harvey (Remsen, IA), mother-in-law Deb Buckman (Mitchell, SD). He was preceded in death by his father Aaron B. Larson, grandparents Arne and Jeanne Larson, and grandmother Ruth Von Seggern. Comment: Top image from obituary link. Bottom image from Facebook. 2nd Lt Larson died while away at training at Fort Benning with my son.